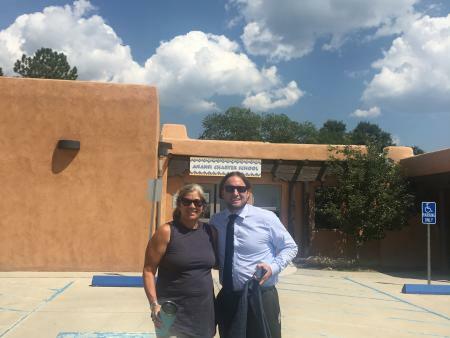 Our first stop in Taos was to state authorized, Taos Academy Charter School. 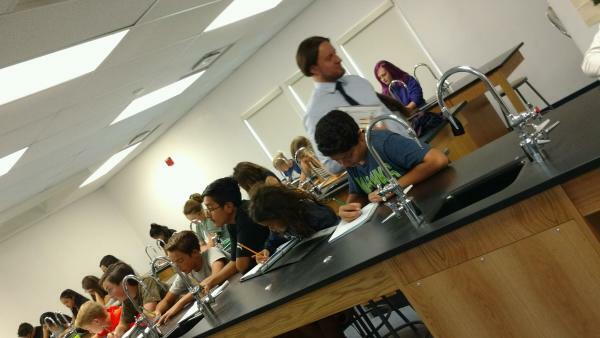 Taos Academy, as it is most commonly referred to, is certainly not your traditional school, but it is remarkable. 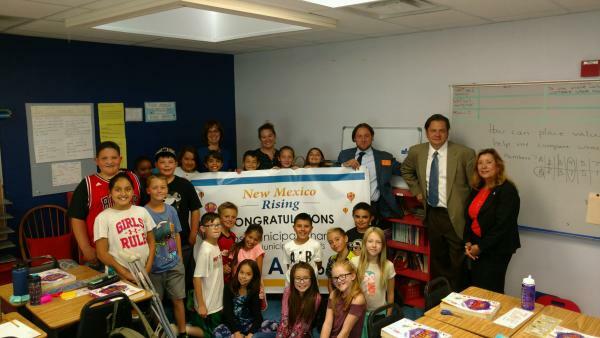 Taos Academy is one of only 8 New Mexico schools to receive an "A" five years in a row. Here are noteworthy things that Taos Academy is doing to deliver strong results for their students. Deep Personalization and Well Tracked Student Accountability: Each student at Taos Academy has the opportunity to experience education in a way that best meets their individual needs. As students get older, their experience becomes more hybridized and unique. The school&apos;s data and tracking systems allow for tracking and monitoring of each student&apos;s progress. STEAM on Full Display: When touring the STEM Lab and other science/technology related classrooms, we were also immersed by incredible student art, including some of the best photography we&apos;ve seen in a long time! Taos charter does a wonderful job of incorporating art into other content areas; providing the students with a well rounded experience. Dual Credit Galore: The vast majority of the schools upper level students are enrolled in college level coursework through dual credit. It&apos;s great to see students with an early start on college coursework! After Taos Academy, we headed up the street to Taos Charter School. Teacher Leadership Matters: The new school leader, Jeremy, is a 16 year veteran of the school who recently took over as principal. We also got to spend time with Secretary&apos;s Teacher Advisory member, Leslie. We always enjoy time with our STA members during visits to their school, today was no exception. After popping into a classroom, we also learned that the teacher, Scott, has recently applied for our New Mexico Teacher Leader School Liaison program! We love seeing teachers take advantage of opportunities to scale their impact. 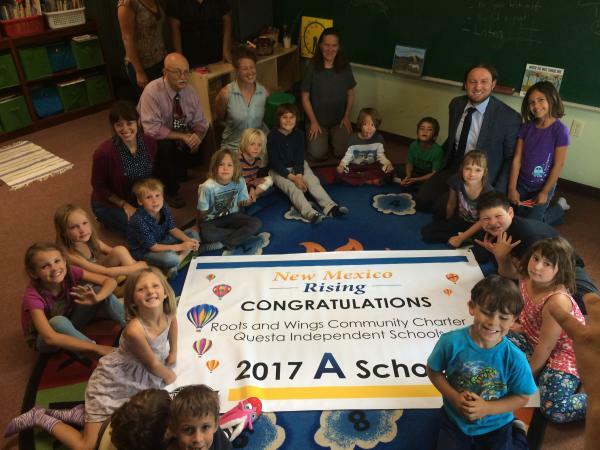 Best K-8 School in NM? 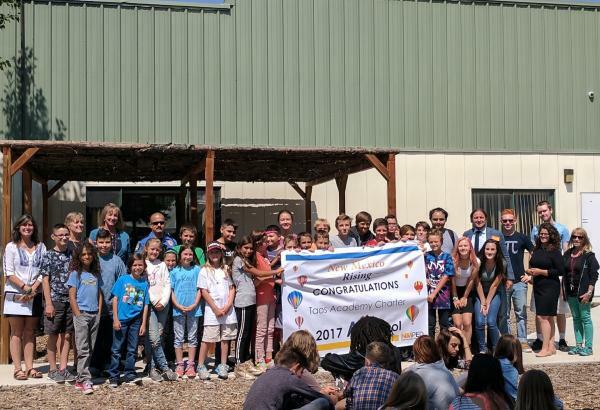 - The team (staff and students) and community believe deeply in this kindergarten through 8th grade school, and they have three consecutive "A" letter grades to show for it! Extra, Voluntary Math: Taos Charter offers 8th graders the opportunity to take 8th grade Algebra, in addition to their regular 8th grade math course. Guess what? Almost every 8th grader elected to take this extra course. It was awesome to see them in their classroom! BOTH/AND: Anansi is truly what we call a "both and" school. They&apos;ve pioneered work in emotional intelligence (with a social emotional competency that gets measured) AND they have have high expectations and high levels of academic rigor for every student. No false dichotomies here... it&apos;s BOTH! Extended School Day: This school runs on an 8am to 4pm school day -- an eight hour "contract day" -- teachers and staff put in the extra time to provide additional hours of instruction and support that make a huge difference. No wonder Anansi is on the rise! Waiting List: There is currently a waiting list for students who would like to attend Anansi (and many other charters we have visited on the Straight A Express). This school is providing their students with a high quality education, in large part thanks to consistent leadership. The current school leader, Michelle, is also the school&apos;s founder. She has been there, raising the bar for kids, since the schools inception over 15 years ago. Teachers are Invested: During our visit we met a passionate teacher who really moved us. As a teacher in a small charter school, she takes on extra responsibilities to make a difference for her young students. Surprise Visit: Turns out, due to an email error, the administration didn&apos;t know we were coming! When we popped in we found the school&apos;s director hard at work responding to feedback from the Charter School Divisions site visit. To improve, you have to be open to feedback, we were glad to see Roots & Wings digging in! Embracing Istation: Due to its size, this school relies on state partnership to increase student achievement. This partnership allows them to take advantage of statewide initiatives including funds for early reading assessments that can be used to tailor support for individual students. 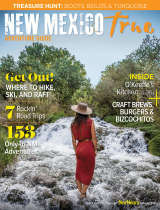 What a great day in beautiful Northern New Mexico. 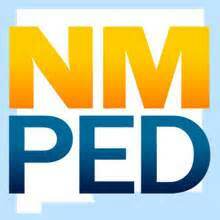 Stay tuned for another full day tomorrow and be sure to follow us on Twitter: @NMPED!